Welcome to the CMusic Production SOLO Sackbut Library! 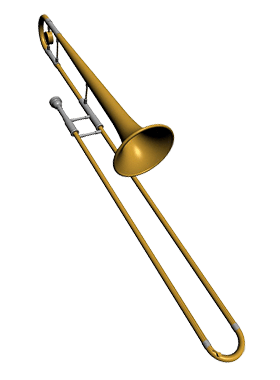 The Sackbut, the precursor of the modern trombone, originated during the Renaissance. This Baroque era brass instrument is smaller and quieter with a “softer” sound, making itself especially suited to chamber vocal and instrumental music performances. 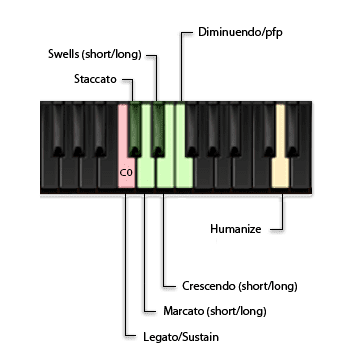 The first mention of a sliding brass instrument, probably trompette des ménestrels, is likely found in France’s Burgundy region , ca. 1420. 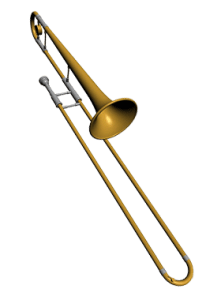 The word “Sackbut” is derived from the French “trompette saicqueboute”, meaning “pipe pull-push” – likely referring to the arm motion of the instrument player. The term was used to distinguish it from the trompettes de guere, or “pipes of war”, which were of a fixed length. Over time the Sackbut became known as a tenor trombone from the 15th century. 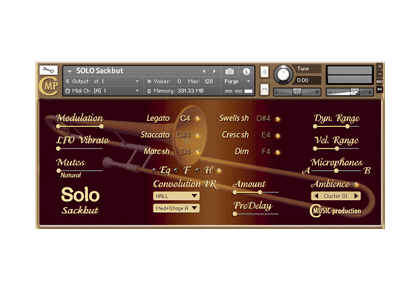 As with all our libraries, the Sackbut Libary was recorded with all the elaborate articulations, SFX and expression necessary to create a truly dynamic realistic musical performance with all the user-friendly functions our users have come to expect.